Back from a visit to the State Library of New South Wales, I decided to quickly pop into the Museum of Currency Notes (q,v. P#3.6) just up the road in Martin Place. It’s been a while since I’ve been inside and I was just checking to see if they might have produced any more printed ephemera recently—leaflets, brochures, flyers—about the collection. I discovered that in the meantime the museum has had a makeover and has also been re-named the Reserve Bank of Australia Museum: ‘Australia’s history told though its bank notes’. The museum is one of the largest printing museums in Australia. It displays many of the historic banknotes, archival material and artefacts from Australia’s social as well as eco-nomic history. The most interesting item on display, however, would be the large Schelter & Giesecke treadle platen. This is a Phoenix Presse III, no. 7792, manufactured in Leipzig around 1900. 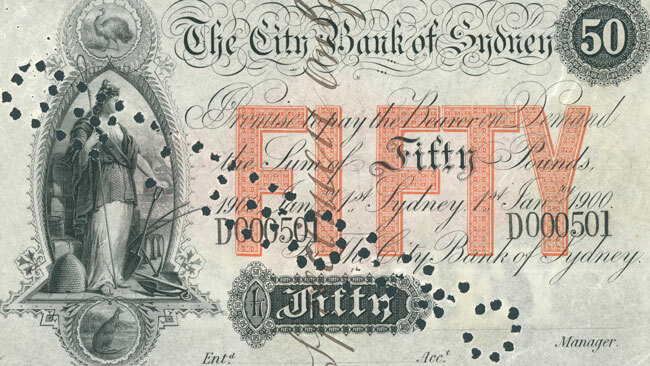 I would like to be able to say that this stands as proof of contacts between them and the Australian printing trades, however, in this period Australia still sourced everything from the Bank of England. And so this platen was obtained from the UK and is only evidence of the UK’s importation of German printing machinery around the turn of last century. In Australia, national banknotes were not produced until 1913 and so the Schelter & Giesecke platen was ‘used to overprint private banknotes with Australian Notes between 1910 and 1930’ (guide, p. ). The platen was in use until the late 1980s for various letterpress overprinting jobs at Note Printing Australia in the suburbs of Melbourne before coming to the museum in Sydney. A small range of printed items are available for free. This includes an 8pp. guide to the museum also featuring the Schelter & Giesecke platen. Not much information is provided, however. The illustration shows the top part of the press only and seems to focus as much on the attractive young woman holding the lever as on the press itself. No mention is made in the guide of Schelter & Giesecke nor is the manufacturers name and logo on the press shown anywhere. In addition, there is a series of folded brochures on each of the five Australia’s banknotes with details as to their meaning and production. Entry to the museum is free of charge and it is open between 10 am and 4 pm, Mondays to Fridays. The museum offers talks of a general nature but including banknotes to groups including school groups. It also offers guided tours by museum staff for anyone with a special interest in the museum’s collection of historic banknotes and other artefacts. 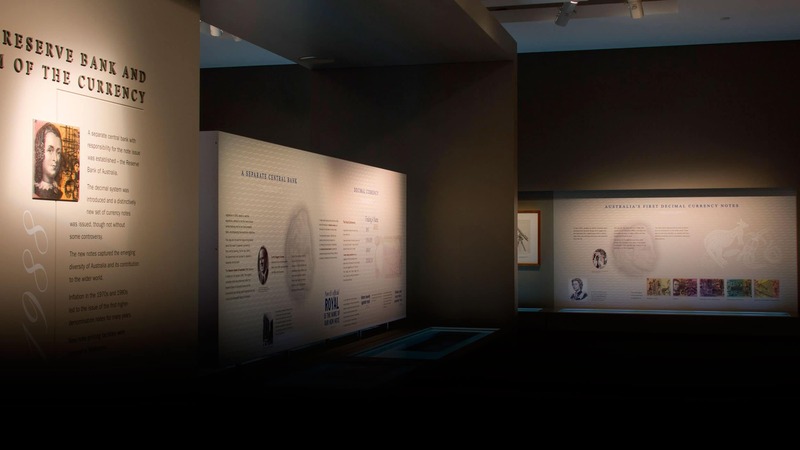 Special exhibitions are also organized every now and again with details on the museum’s website—but these are of mostly of a general nature rather than just on banknotes. The guide also mentions that the museum has created an online virtual tour but the link no longer works and I could not see anything on their website. The museum is well worth a detour if you are ever in Sydney.